Santa Monica’s Big Blue Bus (BBB) provides transit services to 20 million riders annually throughout the Los Angeles metro region. 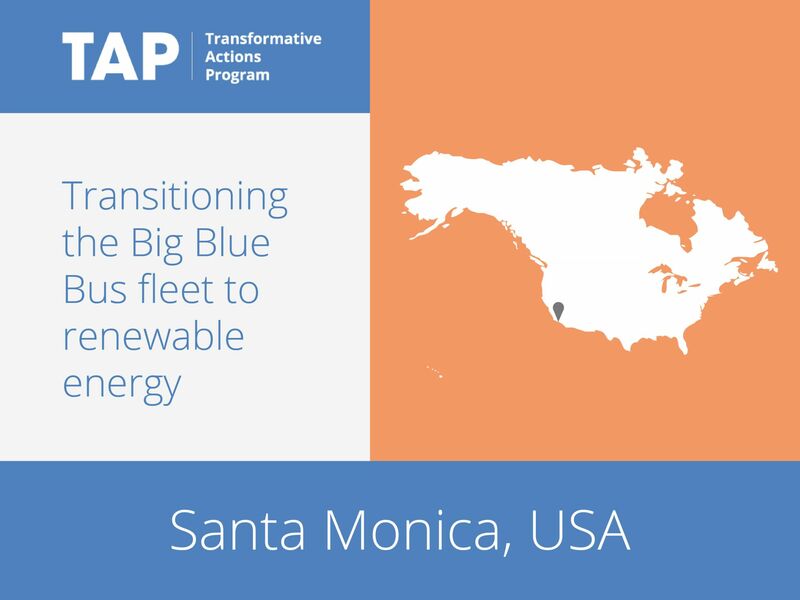 A service of the City of Santa Monica, BBB runs a fleet of 201 vehicles. Currently the fleet is operating on 100 percent compressed natural gas, which is sourced from landfill-generated methane. In 2017, BBB will initiate a pilot replacement process to transition its fleet to operate 100 percent on electricity. This will help improve air quality and reduce greenhouse gas emissions, contributing to the city’s goal of reducing greenhouse gas emissions from municipal operations by 30 percent by the year 2020.